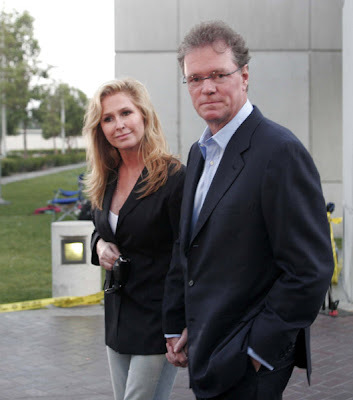 Rick and Kathy Hilton went to Regional Detention Center in Lynwood, California today to visit their daughter Paris. "The Simple Life" star is eligible for early release and may be out by next Monday. The Hiltons are allowed two 30-minute visits per week behind glass partition on Sundays and Tuesdays. Paris' sister Nicky also came to visit this weekend with her boyfriend and a friend on Saturday. Following her much publicized return to jail on June 8, the 26-year old socialite spent almost a week in the prison medical facility, before being placed back into regular jail on Thursday. 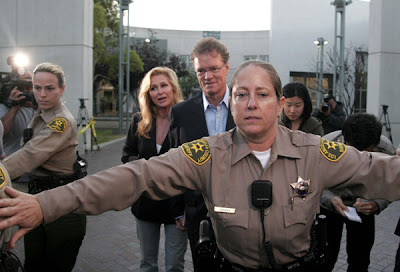 Los Angeles Times meanwhile published a report indicating that Judge Sauer did give Hilton special treatment, as in the past year, those with similar offences served an average of 4 days out of a 14-day sentence. Hilton is expected to serve 23 days out of a 45-day sentence.